Bay windows are now beloved by homeowners across the U.S. – and Ohio – for the unique architectural interest they add to homes, but they have a surprising history. In this blog, Renewal by Andersen® of Cincinnati discusses the origins of the bay window. Before bay windows became common in homes, they were a prominent feature of stone cathedrals in the Gothic era. These bay window prototypes served as a light source for extensions of the small chapels in which the church patrons and donors came to privately worship. Bay windows only became common in residential properties during the Renaissance. Their popularity steadily rose through the ages, peaking during the Baroque era. Baroque architecture is characterized by ornate designs and extravagant patterns. The equally stunning panel arrangement of bay windows served this particular aesthetic well. Today, bay windows can be used for a variety of purposes: a cozy reading nook, a storage area or a pleasant breakfast table. You can increase the curb appeal of your home further by utilizing the different shapes and styles of bay windows. Box bay windows are flat on the front and sides with a roof, while bay windows with angled sides are called canted windows. Many people mistake bow windows for bay windows. Note that bow windows are gently curved as opposed to the more angular bay windows. Bay windows that are installed on the upper levels of a home but do not touch the ground are called oriel windows. Since the Gothic era until present-day, the primary function of bay windows has always been to provide ample lighting to any room. The beautiful construction and materials of the bay window make it a popular window option for traditional and modern homes alike. It’s important for your bay windows to be constructed and installed properly. 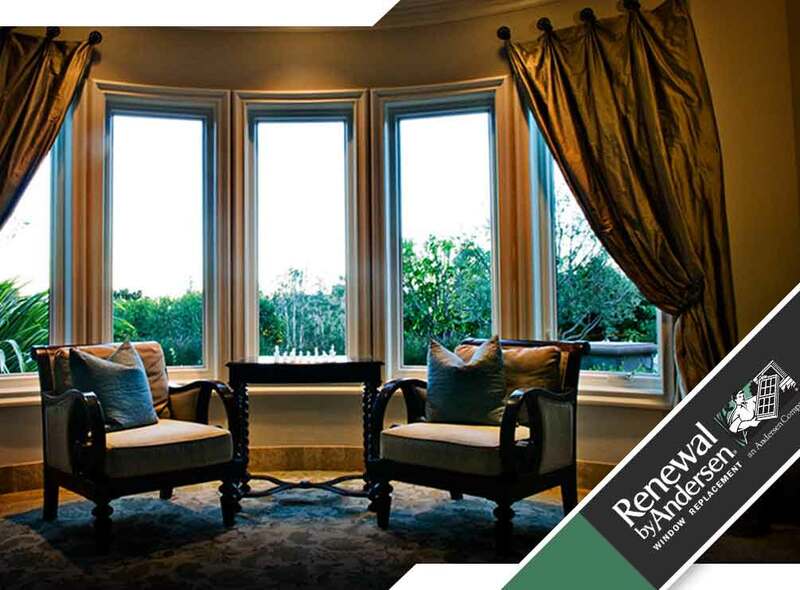 Renewal by Andersen of Cincinnati offers elegant bay windows. We also offer specialty windows. You may contact us at (513) 283-8981. We serve Mason, Sharonville, and Loveland, OH – and more.